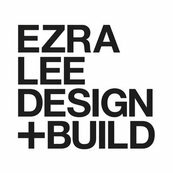 After building our Ezra Lee custom home in 2015, I enlisted their help again to complete my unfinished basement. It’s not often you hear of people considering their contractor like family, but I do. The entire EZDB team is amazing. The design team, budget process, superintendent, and subs have produced a unique, creative design, that is under budget and ahead of schedule. Honest, organized, innovative and creative are words I would use to describe the team. I am proud to be a client and would highly recommend them for any size of project.